CarGurus has 19,056 nationwide X3 listings starting at $2,680. This isn't a complete redesign (that came in 2011), but the 2015 BMW X3 gets a significant midlife makeover. There are some noteworthy updates under the hood of the luxury crossover, as well as some exterior and interior cosmetic changes and new technology. What stays the same is the X3's attractive mix of style, handling and utility. The most substantial addition is the new xDrive28d model, which comes with a 2.0-liter turbodiesel inline 4-cylinder (I4) engine that sends 180 hp and 280 lb-ft of torque to all four wheels (and all that torque is available at just 1,750 rpm). This is the same turbodiesel that powers BMW's 328d. While the diesel option will appeal to those worried about fuel efficiency, there's also a new X3 trim for consumers who don't have to worry about slippery road conditions: the rear-wheel-drive sDrive28i. It's powered by the turbocharged 2.0-liter I4 engine (240 hp, 260 lb-ft of torque) that carries over from last year and also comes standard in the all-wheel-drive xDrive28i X3 model. The sDrive28i becomes the entry-level X3 with a price point starting under $40,000. There's a third engine option for the X3, a turbocharged, 3.0-liter I6 (300 hp, 300 lb-ft of torque) that also carries over from last year and comes in the xDrive35i, which is available only with all-wheel drive. All the engines are paired with an 8-speed automatic transmission that's been praised for its smooth, timely shifts and can decouple the drivetrain in coasting situations for greater efficiency. Mileage ratings for the 2015 X3 have not been released, but the 2014 all-wheel-drive xDrive28i got 21 mpg city/28 highway, and the 2014 xDrive35i was listed at 19/26. The exterior changes for the X3 start with the grille. The iconic twin kidneys protrude to give more of a 3-dimensional look, and their tops fold into the hood. The headlights, which are now fully LED, take on a slightly different shape and reach all the way to that redesigned grille. The X3 also has new LED fog lights and new LED turn signals that are integrated into the side mirrors. The bumpers have also been reshaped to give the front and rear a more angular appearance. The 2015 X3 also comes with new paint choices, wheel designs and a pair of new option packages, M Sport and xLine. The M Sport package equips the X3 with sport-tuned suspension and steering, an aggressive bodykit, shadow line exterior trim, unique paint colors, various trim strip choices, 19- and 20-inch wheel options, sport front seats and an anthracite headliner. The xLine package adds satin aluminum side cladding, metallic bumper inserts, imitation underbody guards, exclusive leather upholstery choices, trim strip options and 19-inch wheels. The X3's interior makeover delivers a more luxurious look and feel with little effort. Some new chrome accents, new paneling, a redesigned climate-control display and coverable cupholders all combine for a subtle, yet noticeable, upgrade. New standard features for all X3 models include a hands-free power tailgate, ambient lighting, auto-dimming exterior and interior mirrors, and a universal garage door opener. Other standard features include a next-generation iDrive infotainment control system, dual-zone automatic climate control, full power accessories, leatherette upholstery, Bluetooth, automatic windshield wipers, auto on/off headlights, foglights, 18-inch alloy wheels and a 12-speaker audio system with HD radio and auxiliary and USB ports. In addition to the 6-cylinder turbocharged engine, the xDrive35i upgrades with a panoramic sunroof, bi-xenon headlights and wood trim. There are multiple option packages available for the X3 that carry over from last year. The Technology Package delivers a navigation system, full-color heads-up display and BMW's ConnectedDrive Services and Apps. The Premium Package adds remote start, leather upholstery, front seat lumbar support and satellite radio. The Cold Weather Package includes a heated steering wheel and heated front and rear seats. The Active Driving Assistance Plus Package adds an active cruise-control system, front and rear parking sensors, a rear-view camera and warning systems for frontal collision, city collision, pedestrians and lane departure. Standard safety features for the X3 include BMW Assist eCall crash notification services, stability control and dual front, front side and full-length side curtain airbags. 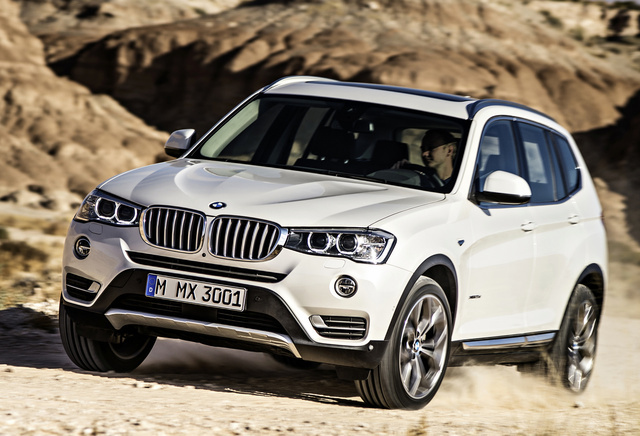 What's your take on the 2015 BMW X3? Noel I just test drove this gem of an SUV!!! I tested the Q5, QX50, QX70, but none of them can touch the X3!!! Go BMW with a 50,000 mile, or 4-yr. Maintenance Free Contract! Users ranked 2015 BMW X3 against other cars which they drove/owned. Each ranking was based on 9 categories. Here is the summary of top rankings. 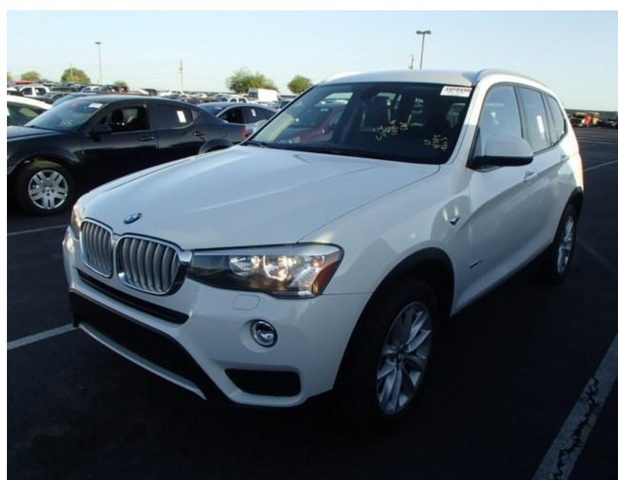 Have you driven a 2015 BMW X3? What Is The Cost For After-market Rear View Camera?